Amsterdam-based American composer Allan Segall goes beyond music to write his first play in Estonia. Anne Ku recaps their friendship. How do performers meet composers and commission works from them? I met Allan Segall during the intermission of a concert in Amsterdam in spring of 2004. The encounter left such an impression on me that I wrote an entry in my online journal. A few months later, I invited him to my Steinway welcome party in Bussum. He introduced a simple but sticky solo piano piece that I played and recorded for the event. As with most if not all compositions, Intermezzo comes with a story. I would love to include it in my solo piano project but I would need the score in electronic form. Allan was intrigued by our piano guitar duo. He said that he enjoyed writing for “neglected ensembles.” By that, he probably meant rare combinations. We invited him to the premiere of the first piano guitar duo written for us. Afterwards, he declared that he would write a duo piece for us. Allan’s output was a work that required several years of practice to get it right. I’m still not entirely sure that we got it right. “When J.S. Bach, Igor Stravinsky, and the Who met” is a terrifically difficult but exciting piece. It’s like time travel, with Bach counterpoint, Stravinsky harmony, and echoes of Tommy the rock musical. I daresay it’s the first time that the guitar is louder than the piano. We premiered it in Cortona, Italy in 2006. The USA premiere was on Maui in 2007. We finally released the CD of that Maui concert earlier this year. You can hear a short sample on CDBABY. Watch the TV video below for an interview (in English) with Allan Segall. Don’t let the unsubtitled Estonian language deter you from seeing clips of the play. 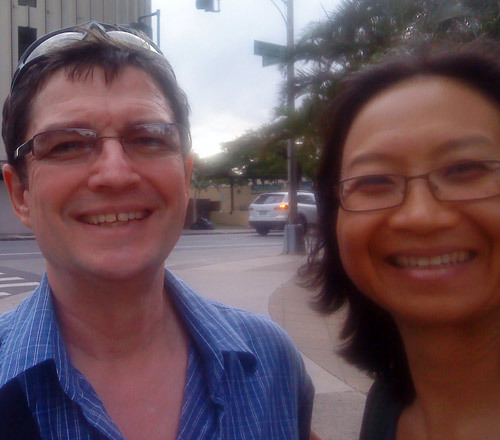 Anne Ku met composer John Carollo in Cortona, Italy in 2006 and in Honolulu in 2011. 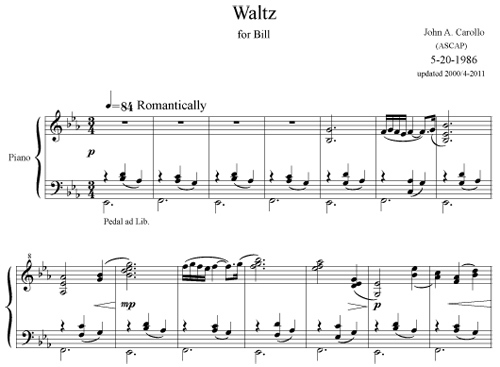 Carollo’s Waltz written in 1986 evokes Satie and Debussy. Listen to a recording from the Netherlands. On Sunday 3rd April 2011, while sightreading 81 short piano pieces entitled “80th Birthday Jingles” by the Honolulu-based composer John Carollo, I came across an old work of his from 1986. John, whom I first met in Cortona, Italy in July 2006, walked out of his kitchen and came towards me. “I haven’t heard that in awhile.” He seemed caught off guard. Later, I learned that he had forgotten about this piece. It was tonal music from his pre-serial days. “Play it again,” he mused. John had written this Satie-like waltz for his friend Bill whose surprise birthday party I had attended two nights earlier in a million dollar home in Hanepepe Loop. On Sunday in a penthouse in central Honolulu, we were just eating the leftovers from that executive chef-catered dinner when my playing of his Waltz evoked even earlier memories of his journey as a composer. I liked it so much that I took it to Utrecht, Netherlands and recorded it on my grand piano on 4th August 2011. Immediately after I left Honolulu, John began composing a 9-movement work for my piano guitar duo. While we have not yet had time to rehearse the piece, I have already requested John to extend the second movement which is so addictive! Anne Ku’s multi-hand piano duet “Three on One” receives a third performance, this time on the island of Maui when she was still in the Netherlands on 16th July 2011. 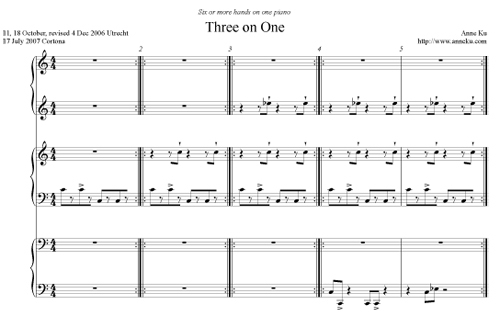 It’s a delight to hear the live recording of my multi-hand piano duet “Three on One” performed on 16th July 2011 in the Battle of the Pianists at the Maui Music Conservatory in Hawaii. I was in Utrecht, Netherlands on that date. The CD arrived in the post along with the programme notes. It’s nice to see my name after Darius Milhaud’s Scaramouche, a 4-hand, 2-piano 3-movement piece that I’ve heard played in Munster, Germany. The Battle of the Pianists was one of several events in “A Little More Summer Music, Please” organised by Ebb & Flow Arts, the same nonprofit foundation that produced our piano guitar duo concert in Makawao in December 2007. When I first heard of the duet concert, I wanted so much to participate, especially to play the Canto Ostinato which is a rare gem. After sightreading various new piano duets this year through my Call for Scores project, I am inclined to rewrite this piece. For one, the notes should be bigger. Two, it would be easier to lay it out in parts not in parallel as I have done. Readability is extremely important. A minimalist piece needs to be longer. At 2 minutes 26 seconds, it’s ridiculously too short. Listen to the performance by Karyn Sarring, Robert Pollock, and Lotus Dancer. 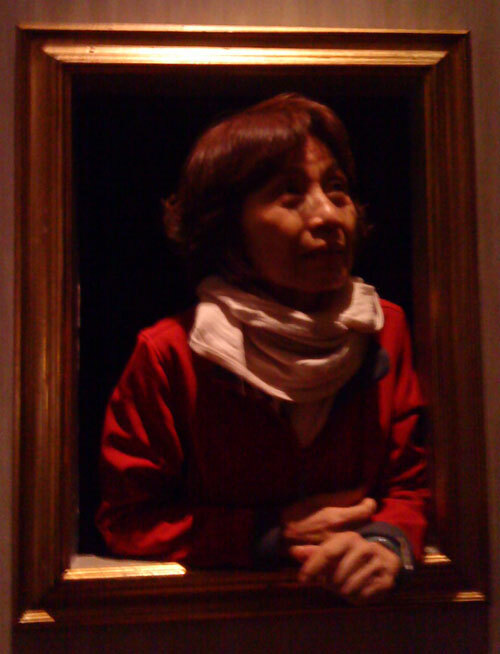 Three on One duet by Anne Ku (mp3) – click to listen. Fellow collaborator of my Call for Scores project Karyn Sarring played the bass. Lotus Dancer played the middle part and Beatrice Scorby the top (highest, primo). Born in Brunei of Chinese parents, Anne Ku grew up on Okinawa, Japan where she learned English from age 7 and the piano from age 8. After graduating valedictorian from Kubasaki High School, she won a full scholarship to Duke University where she double-majored in Electrical Engineering and Mathematics. She actively participated in chamber music performance while studying the piano under Randall Love. Fast forward ten years later, she was interviewed by the weekly newspaper of the largest university in the Netherlands for her second chamber opera Culture Shock! which premiered in Utrecht on 2 June 2008. Since then she has focussed on chamber music performance with guitar, French horn, and cello and active as producer of Monument House Concert Series and traveling the world with her piano guitar duo and sharing her adventures through her blogs. The second concert of the first weekend in July 2011 in the Monument House in Utrecht, Netherlands features American pianist Brendan Kinsella, organic wine tasting, and authentic Vietnamese cuisine. As I blog, I plan the details of upcoming concerts which could easily comprise a festival. These events are more than concerts. They have elements of music, drink, food, conversation, and fundraising. Dare I call it a festival? Or just a concert series? Which came first? 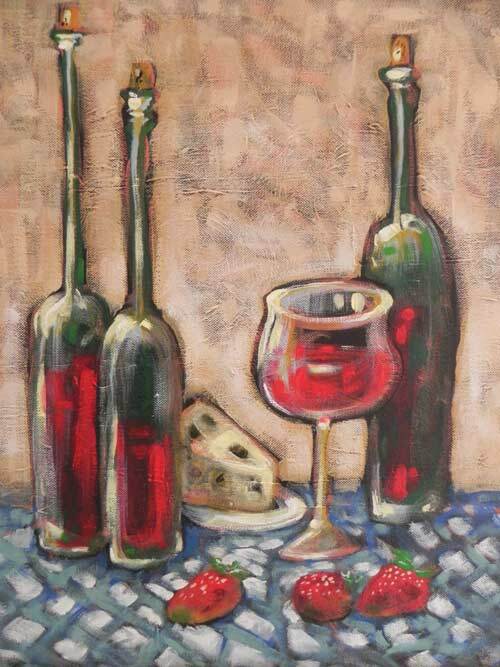 The idea of introducing organic wine to guests of the Monument House to accompany live music. Next, pianist Nathanael May introduced the American pianist Brendan Kinsella who will travel with him to the Soundscape Music Festival in the Italian Alps the following week. I contacted my Vietnamese friend to take up on her suggestion an authentic Vietnamese dinner after she experienced the Egyptian dinner at last year’s Glass Vase Concert. She then contacted Chef Hong who is available to cater for Saturday 2nd July 2011. As with the previous evening (Body of Your Dreams Concert), there will be organic wines served by Eveline Scheren and fundraising for an artist-in-residence fellowship through a silent auction of items from the Monument House and other donations. 9:45 pm Results of silent auction. For details and reservations, visit High Note Live. Listening to live recording of a concert is different from that of a studio recording. Releasing CDs of live recordings of concerts is a scary thing. You can’t edit the recording of a concert like you can of studio takes. It has to sound live — the way the music has been performed. There will be mistakes. There will be audience intervention such as coughs and background noise. A live recording is never perfect, but it is live. When we decided to make CDs out of live recordings of two concerts, we joined other musicians in embracing this brave new world. As concert producer, reviewer, promoter, and now talent scout, I get CDs in the post and as gifts. On tour, it’s not been possible to listen to these CDs in optimal acoustical surroundings. I have no stereo system in the rented apartment in Maui where I’m taking a sabbatical from my usual existence (in the Netherlands). When I received a package from Italy recently, I was astonished to find just how powerful the Vatican radio broadcast recording was from my laptop. It’s the bicentennial of Franz Liszt’s birth and music festivals celebrating his music are springing up everywhere. Coincidentally the International Liszt Piano Competition is also held this year in Utrecht, where I normally live. Pianist Leonora Baldelli’s interpretation of Liszt is sizzling on the Vatican radio broadcast CD that I received. Soprano Alessandra Benedetti joins her from track 6 onwards, not music of Liszt but of arias from operas of Mozart, Puccini, Rossini, and Verdi. Such a powerful voice Benedetti has! Such powerful playing of Baldelli! I have yet to meet either musician, but I feel I already know them from the live recording. More than anything, listening to their music reminds me of how much work and dedication it is to produce something so magnificent. Calling musicians to play music of Italian composers. 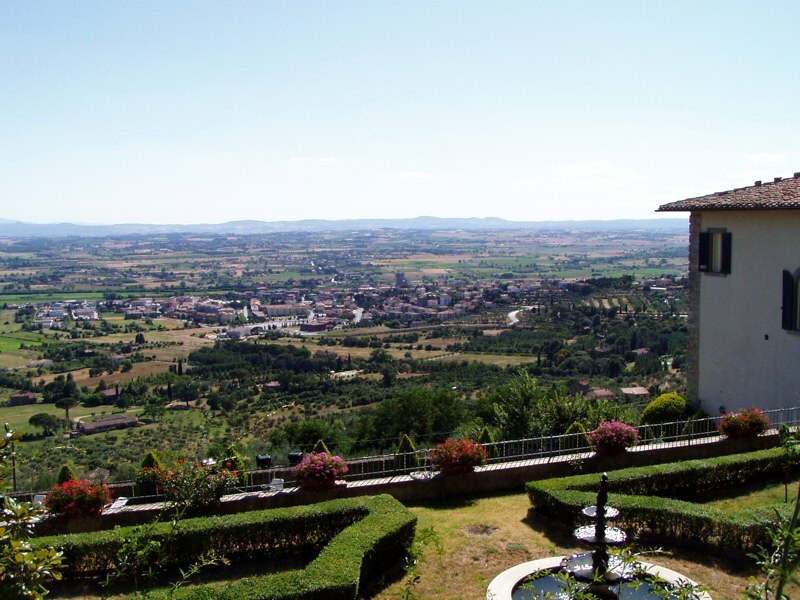 Calling non-musicians to cook Italian food and bring Italian wine. It will be a Roman holiday in Utrecht on Sunday 8th November. Space is limited. My own list includes: the Vatican, Colosseum, St Cecilia Academy of Music (the state conservatory), and Keats/Shelley House. After 2 weeks in Venice and Florence, we thought we were ready to go home. And I only reserved 3 nights and 4 days for Rome. Clearly it’s not going to be enough. What a surprise to find the Gallery of Modern Art empty of people and a treasure chest of Modigliani, de Chiruco, and other Italian artists I’ve never heard of. The Villa de Borghese is HUGE! Their Galleria will have to wait until I return again. It’s raining cats and dogs in Rome. No one is lingering on the Spanish Steps. But we went to see it anyway. Actually, my time is limited. My mother is asleep upstairs. 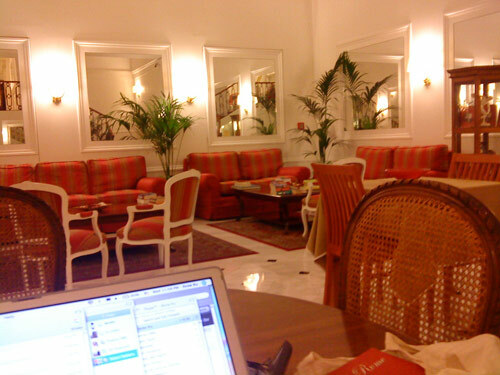 I’ve been skyping and blogging in the beautiful, mirrored hall of my hotel (below) where we will be having breakfast at 7:30 am tomorrow. On our last full day in Florence, my mother and I went to an exhibition that surely beats all others we’ve seen in the past two weeks. It reminds me of the Matisse-Picasso exhibition we had seen in the Tate Modern years ago. Both were well-curated, informative, and entertaining. How can I apply what I’ve learned to our cross-domain initiatives at our Monument House Concert Series in Utrecht? I consider myself rather new to the understanding and appreciation of visual art. My desire to attend exhibitions, however, started long ago, driven by curiosity and the kiasoo syndrome (not wanting to miss out). Over time, through conversations with artist friends and connoisseurs, I’ve learned that it takes time to understand and appreciate visual art, just as one would with music. Much of what I know today comes from the high school humanities course I took from the late Mr Darwin Scales. His passion for art, music, literature, history, and philosophy was contagious. He was the reason I so wanted to see Europe at the age of 21. On our last full day in Florence, my mother and I went to an exhibition that surely beats all others we’ve seen in the past two weeks. It reminded me of the Matisse-Picasso exhibition we had seen in the Tate Modern years ago. Both were well-curated, informative, and entertaining. Most of all, the subject of art and illusions was interesting. I can think of parallels in music and acoustics, such as the way we fill in skipped notes to make a melody that otherwise would not make sense, the way we skip over false notes in our listening, the way we dismiss what we don’t want to hear. There are certainly compositional techniques that deceive the ear just as techniques of “trompe l’oeil” achieve visual illusions. How can I apply what I’ve learned to our cross-domain initiatives at our Monument House Concert Series in Utrecht? 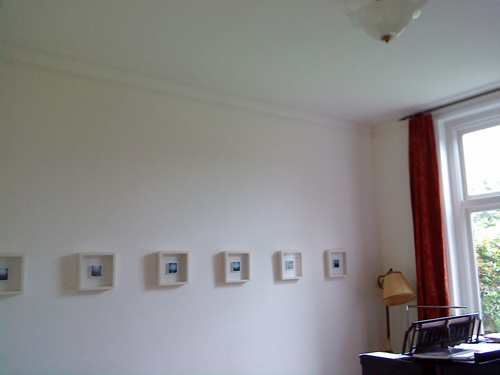 We had launched our first exhibition at the last house concert of solo guitar from South Africa on 3rd October 2009. Although the concert was sold out in three days and a success by all accounts, I felt the need to give the exhibition more visibility. 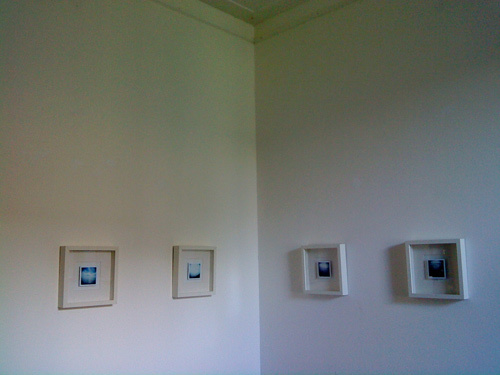 Expand on the theme of water (as shown in the 13 polaroid images in the piano room) to coincide with a concert on the theme of water. Already a pianist has offered to play Ravel’s Jeux Deux. Our duo will play Lan Chee Lam’s Drizzle. Anybody for Chopin’s Raindrop Prelude? 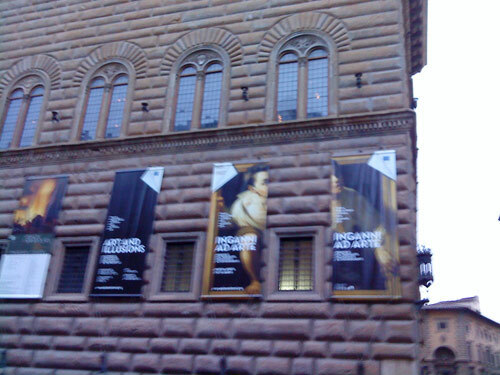 Author BLOGmaidenPosted on November 3, 2009 November 4, 2009 Categories concert, planning, research, travel, venuesTags art, exhibition, Florence, Italy, music, Netherlands, UtrechtLeave a comment on What makes a great exhibition?